$350, $450, $550, $650 per hour. Mariachi el Rey "5 STARS"
-Depending if the party is man or woman we select the songs. - Wide repertoire which is sent by email without any commitment. -We never stop waiting for request, we continue with the music until you make a request songs. I hired Mariachi El Rey to play at my wedding at the Carnegie Science Institution and they were phenomenal! They played for an hour, hit all the classics, played my requests, and even played requests from my family on the spot -- some family members impromptu sang at the wedding and they managed that well! Quality of music was stellar, repertoire was spot on, outfits were visually perfect, and they were just otherwise amazing! I'd be happy to serve as a reference or discuss my experience in greater detail. I also have a ton of photos and videos to share. Thanks Mrs. Gabriela, It was really an honor to be able to play for You and your beautiful family, what I like most is to see the happiness of a couple when they join in marriage, and to make their day unforgettable. I'm a wedding planner and a couple hired Mariachi El Rey for their wedding. Their music was a hit! Guests were singing along and they really got the crowd going. A very nice, professional group to work with. Would definitely recommend them to other clients! Thank you very much! I am so pleased people enjoy the music and sang with us at the wedding. 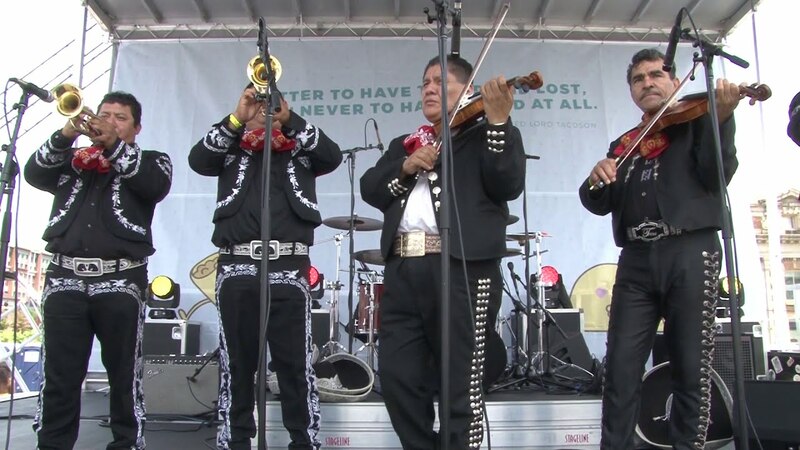 Mariachi El Ray came for an event at our home and were the highlight of the party! They were on time, authentic, talented and truly wonderful. We would recommend them to anyone looking for music that is memorable. All around excellent. 5 stars!!! Thank you for your words, clients like You give us an incentive to go ahead with our music, thanks!!!!! We booked Marachi El Ray for our wedding. They were easy to book, pay and communicate with. The performance was perfect and authentic - it reminded me of Garibaldi. Everyone at our wedding love the surprise and really made our wedding even more special. I highly recommend this marachi band. Thank you, if you are happy, we are happy because we know that you enjoyed that important moment in your lives. Congratulations and we hope to see you soon in your next event. On time, great performance and very friendly. Thank you for your words of encouragement, we hope to be able to share new events with you again, do not hesitate to call us if you want to make a reservation for your next event. Mariachi El Rey was awesome! We had them for our wedding and everybody was excited when the mariachi started to play! The wedding was Mexican-Iranian and people from both sides were dancing. All the Mexicans said it was like being in Mexico and they sang along with Mariachi El Rey! I personally spoke on the phone with Javier who was very friendly and very flexible to match our schedule and wedding timing. They made my wedding very special! Mrs. Alejandra is the first time we play for Iranian people and they were very friendly they danced and they liked the Mexican music and Mexican people always cordial, attentive, cheerful and they enjoy the Mariachi. I called Mariachi El Rey one week before my sister's 80th birthday party. Thank God they were available! We were a little nervous because we never heard them before. But all that melted away when they performed. They were fabulous!! Our guests were extremely impressed and pleased. My sister was overjoyed! Gracias Mariachi El Rey for making her birthday party a memorable one! I highly recommend! Mrs. Allende, thank you for your words, it was an honor for us to share with your nice family, we hope to see you soon. 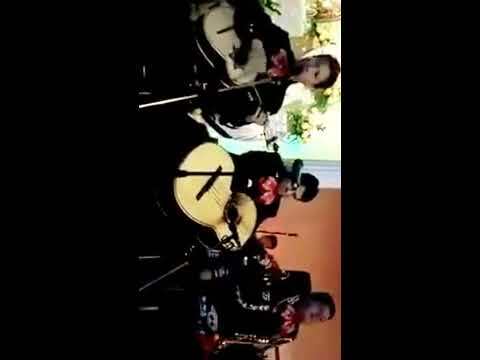 I organized a 40th birthday party for my Mexican wife and wanted a Mariachi band. She likes to sing Mexican folk songs and wanted a band capable of playing songs she liked. Mariachi El Ray turned out to be an excellent choice. First, they were absolutely punctual. Second, they made an excellent entrance playing songs and impressed everyone at the party. Thirdly they were good musicians; and finally they accommodated my wife's requests (made ahead of time). They not only helped make our party successful, they were the highlight! Guests loved it and were impressed. It is my goal to always deliver 100 percent of our musical capacity in each presentation to satisfy our customers' expectations. What a special experience! We hired Mariachi El Rey to serenade my mom for her 60th birthday. Three musicians came to our house and surprised her by starting up playing in the backyard while we were in the house. Setting up the event was very easy -- Javier is very personable and professional -- and the music was FANTASTIC! Seriously, their voices together are beautiful, and they play so well. I did my research before hiring them, and they are totally worth the (very reasonable) price. Cannot recommend them enough!! We enjoyed play in your house. I contracted Mariachi El Rey for my husband’s surprise birthday party. The mariachi was scheduled to arrive at 9:00 pm but few minutes before 9:00 pm, I received a call from the mariachi that they were running late. Since this was a surprise for my husband, I was a little disappointed but upon they arrival, my husband and guests were pleasantly surprised. The performance was awesome; we all enjoyed dancing to their music. I’ll definitely recommend Mariachi El Rey and consider them for my next event. We hired these guys to play and sing for an hour during dinner. Everything went great and the were easy to deal with. Looking forward to havin then back! Your band was excellent! I wanted to have a great surprise birthday party for my sister at our home, and this was exactly the icing on the cake. Not only was she surprised, but my entire family and all her friends had an amazing time. Very unique, very entertaining, very different. Would definitely recommend again. Thank you Mr. Ashwani, It was an honor to celebrate with your family and friends an unforgettable birthday for all. The band was excellent and just what we had hoped for! We hired all four of them and I definitely recommend the full experience as they were very talented & sounded fabulous! Our guests loved them and everyone was singing and dancing at the end. I would be happy to hire them again and all our guest left with their cards as they wanted to hire them for their future parties. Thank you very much Mrs. Fonseca, will always be honored to be part of your festivities and offer our best service of musical entertainment. Fantastic Band! Lot's of Fun! Mariachi El Rey performed at a party I threw for approximately 100 people. They were fantastic, authentic and on point with all songs. I highly recommend their services. They truly brought life to our event and were somewhat affordable as well. Thank you Mariachi El Rey! Keep up the good work. Thanks Mr. Andrew, I am very happy with your review and I see you the next event. Simply marvellous!! 2 hours of pur fun, fantastic group. They are dependable and very professionel. I will call them again for my next parties. Mr. Daniel thanks for your words. we hope soon to return to make music in your party. Price Range: $350, $450, $550, $650 per hour. Great mariachi uniforms, original Mexican hats, and the most important best attitude! Around 16 songs in 1 hour and 30 songs in two hours! Mariachi El Rey have a professional singer, professional musicians, is a fusion of nationalities and cultures where all members are united by the Mariachi Music to bring each one of you happy moments, feelings and lots of positive energy. 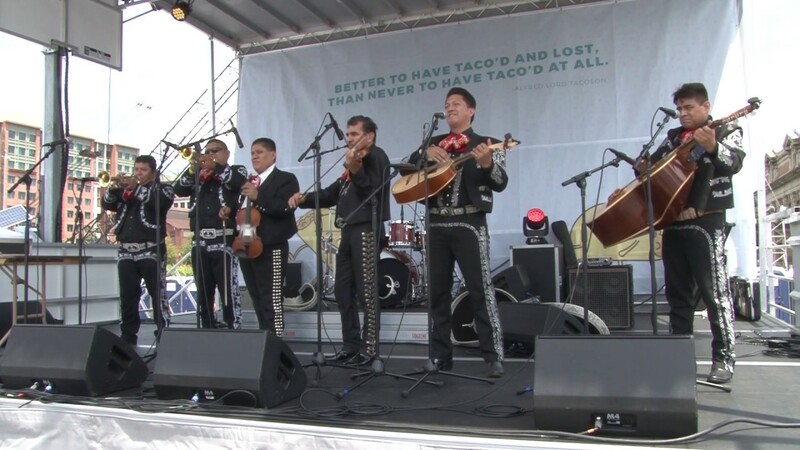 Mariachi El Rey currently has a compact sound system (optional) with 2, 3, 4 microphones for outdoor and indoor events at no additional charge, for small events, such as houses, apartments, townhouses party rooms, hotels, etc. 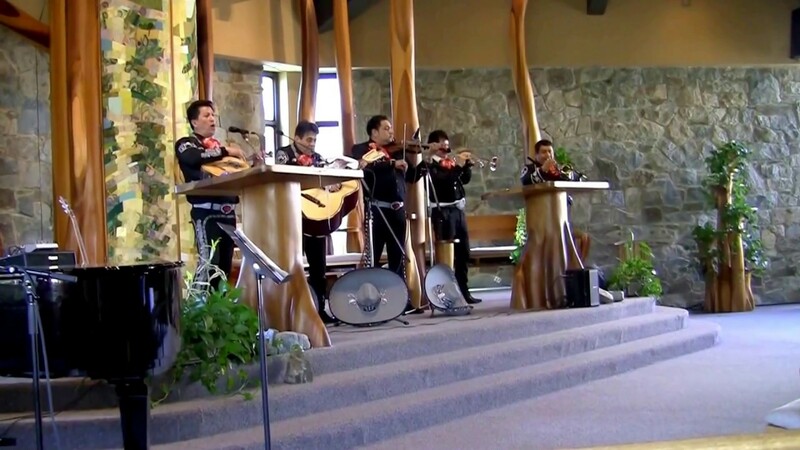 Mariachi El Rey actualmente dispone de un sistema de sonido compacto (opcional) sin cargo adicional, para pequeños eventos ya sean casas, apartamentos townhouses, salones, hoteles, etc. We have a long and great repertory for your best party ever, with more than 20 years of experience!